Orlando’s Lake Nona Town Center, developed by Tavistock Development Company with its retail planning, leasing and development partner Steiner + Associates, is the 100-acre centerpiece of the 17-square-mile Lake Nona community. 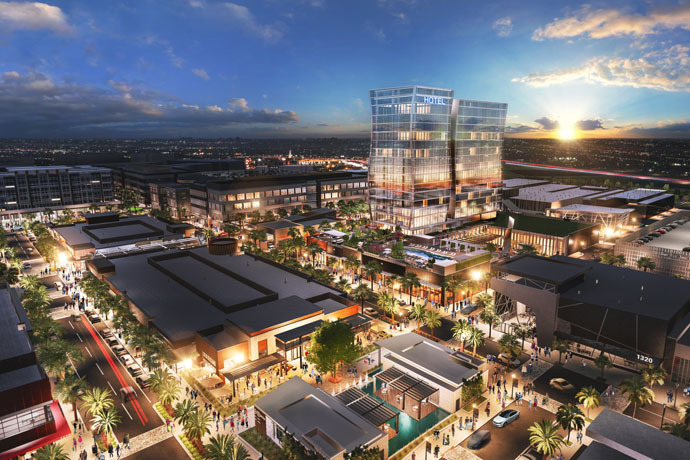 It has established itself as a transformational development with a market-defining 4 million-square-feet of retail, dining and entertainment. The latest news for the town center includes the development of an open-air food and entertainment venue made up of repurposed shipping containers that will include food trucks, a dog park, and a recreation area for children. Multiple structures will be constructed using repurposed shipping containers, most being single-story, on-grade structures. Some structures will include a second level for seating areas. In addition to the recently announced shipping container district, Lake Nona Town Center will also welcome Park Pizza & Brewing Co. in late 2018. The community-focused restaurant will serve scratch-made pizza from wood-burning ovens and feature an onsite brewery. Lake Nona continues to deliver a community based upon the concept of wellness by optimizing healthy living through events and amenities for the entire community.